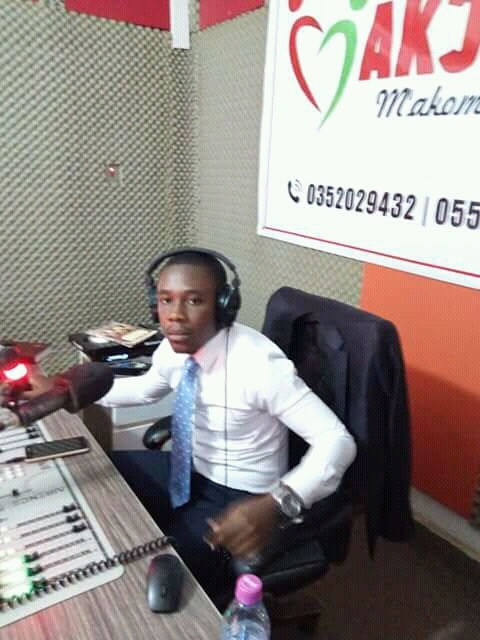 The morning show host of Sunyani based Akonoba FM Nana Kwame Nkwantabisa involved in an accident in the early of Saturday June 9 2018. Sir Kaay as he is popularly known in the media was returning from an All Night program from Korasua, a subboard of Sunyani around 12:45am. He sustained some minor injuries and was admitted at the Sunyani Municipal Hospital and discharged in the afternoon. 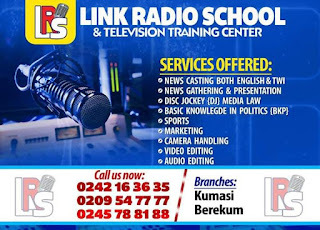 There was reports in Sunyani that the astute radio broadcaster has lost his life which he finished the rumors on his Facebook account. "Please I am alive, rubbish those rumors. 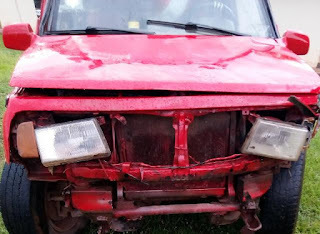 I had an accident but am not dead"